In Questlove’s recent autobiography Mo Meta Blues, he describes the formation of the Soulquarians, a collective which coalesced during recording sessions for his Roots’ Things Fall Apart, D’Angelo’s Voodoo, Common’s Like Water for Chocolate and Erykah Badu’s Mama’s Gun. Its core members were James Poyser, D’Angelo, J Dilla and himself, all who had the astrological sign of Aquarius. It quickly evolved into shorthand for a period which saw the peak of neo-soul as an artistic movement. Its genesis began during a series of house jams the Roots threw in Philadelphia, which attracted fledging local singers like Bilal, Musiq Soulchild and Jill Scott; ambitious rappers like Eve and Beanie Sigel (both of whom appear on Things Fall Apart); and young vocalists like India.Arie and Jazmine Sullivan, the latter still in her early teens at the time. (Those informal jams were succeeded by Black Lily, a club event hosted by Roots’ backing vocalists the Jazzyfatnastees.) The Soulquarians orbit expanded to DJ Jazzy Jeff (who produced Scott’s debut), Vikter Duplaix (who worked with Poyser on his album), Raphael Saadiq, Mos Def and Q-Tip; as well as frequent Roots collaborators Dice Raw, Scratch, Jaguar Wright, Rahzel and Ursula Rucker. There was even talk of creating a Soulquarians Big Band similar to Duke Ellington’s orchestra – a dream collaboration that was difficult to take seriously given the platinum-certified egos involved, but was fun to fantasize about anyway. The Soulquarians’ era was brief. By the time D’Angelo’s worldwide Voodoo tour concluded in 2001, “Everyone was neo-souled out,” writes Questlove in his book. 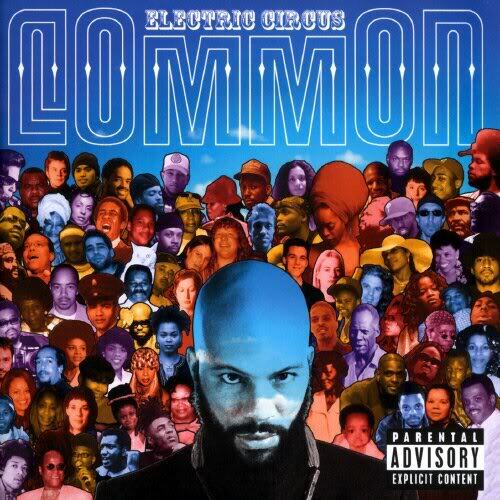 He adds that Common’s 2002 album Electric Circus, which tried to shift from a groove-oriented sound that was coagulating into boring Urban Adult Contemporary – a term that persists to this day – into a more vibrant kind of funk-rock, “was the twilight of the Soulquarians, the last gasp of the Utopian feeling that had started in 1997.” The mixed reception given to Electric Circus, a “kitchen sink album” with a cover that depicts the Soulquarians universe in a massive photo-collage, belies this art colony’s importance in hip-hop and modern soul music.